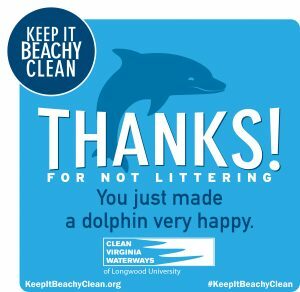 We love our beaches and waterways and want to keep them Beachy Clean for the future. Want to help? Whether you are local who goes to the beach every day, or a visitor, seeing the ocean for the first time, here are some tips to follow to ensure that the sand and water stay clean and safe for all to enjoy! Dispose of cigarette butts and all trash properly. Check for trash before you leave the beach. Use reusable shopping bags, straws and bottles. Recycle paper, cans, glass, plastic containers and plastic bottles. Don’t feed the birds. Clean up after your pet.